Adelaide’s city-hopping urban futurist former Lord Mayor Stephen Yarwood took to Facebook late last week to complain that his successor, Martin Haese, had attracted more media attention by getting a new job than he did. Haese had bowed out of the Lord Mayoral race late last year, then publicly ruminated on a tilt at federal politics in January and, in an abrupt further plot twist late last week, announced he’d been appointed the new CEO of Business SA. Haese’s short-lived flirtation with the seat of Adelaide earned him three days of coverage in The Advertiser and his new gig as the head of South Australia’s business lobby filled most of page two in the newspaper last Friday. Not so for Yarwood, who had announced his own fresh job posting late last month. It was a temporary role advising the City of Mecca, in Saudi Arabia, on its strategic plan. 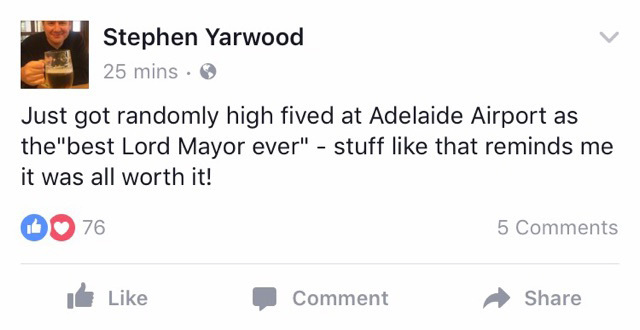 So where was Yarwood’s Adelaide media splash? MECCA COMPLAINT: Yarwood’s Facebook post. 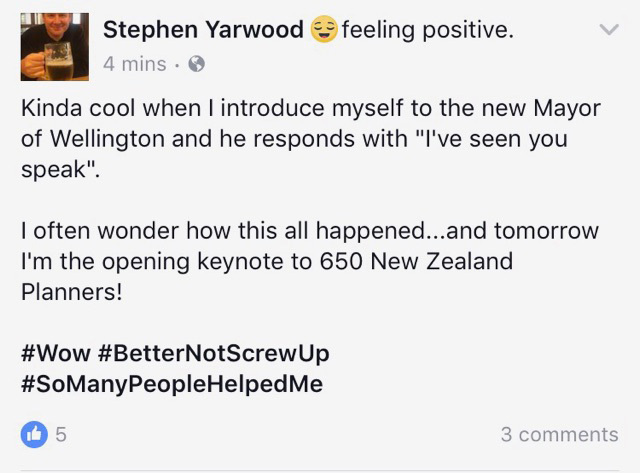 In the comments, some reassured Yarwood – it’s not him, it’s the job – while others were less delicate. For his part, Haese thanked his predecessor and left it at that. But if Yarwood is worried the media has lost interest, fear not: we at InDaily have been keeping a close eye on him. 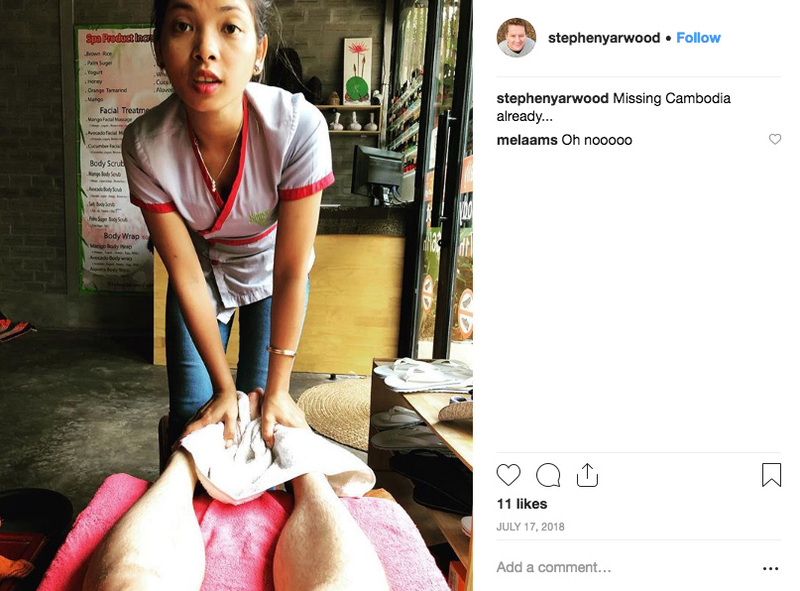 And it’s easy to do – since he’s spent the past five years dutifully documenting his many international adventures and achievements on his public social media pages. Stephen Yarwood, quoted in the Sunday Mail in late 2016. He was responding to hotel boss Peter Hurley’s complaint that the former Lord Mayor was promoting Airbnb ahead of more traditional accommodation options. 3: A brave man, and an even braver man! 1: It was all worth it! – Additional research by Tom Richardson.